About a month ago, I wrote about 7 local health hotspots (check them out here!) 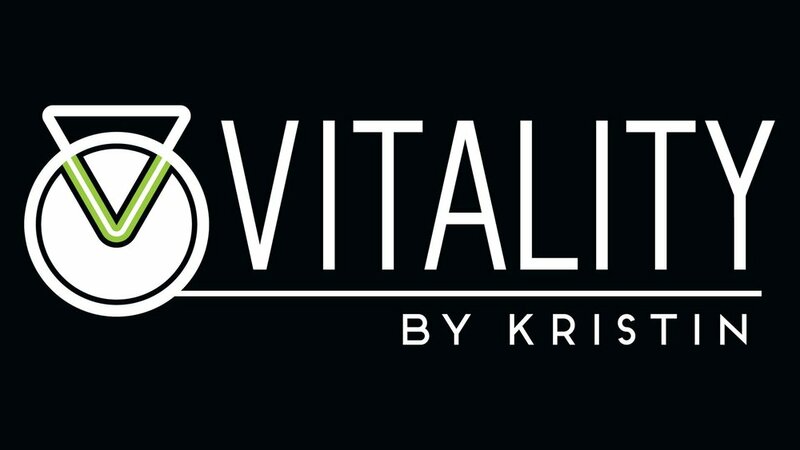 and briefly mentioned a gym I have the absolute privilege of being a part of: Vitality By Kristin. That post just didn't do it justice, and I believe in this program so much that I wanted to give it a FULL post of its very own in attempts to share with you how really, truly, stinking' awesome Kristin and her program really are. After working in a corporate gym for a few months, I started leading group classes in my style of workouts. I noticed that I could wrangle in a big group of people, throw in some intensity, have them leaving the workout drenched in sweat and wanting more. It was then, when I realized that I might actually have a knack for group training. People started coming out of the woodwork when they heard that I was finally certified and wanted me to started training them. Vitality brought in so many close family and friends it's very first Saturday workout. My goal was to make Vitality a friendly, positive, thriving community and it has succeeded in doing just that. I grew up being quite the tomboy. I was a very active child and dove into sports at a young age which lead into playing softball in middle school and soccer in high school. It wasn't until after high school where I became an avid gym goer. I didn't know much about weightlifting until my brother started bringing me along with him, and I was instantly hooked. Form and strength came very natural to me and the gym became my favorite place to be an a daily basis. How would you describe your fitness philosophy/mentality? Fitness, of any kind, is beneficial for everyone. I was never into just one type of fitness. Whether it be body building, Crossfit, powerlifting, running- I was into ALL of it. (Even yoga on occasion...) My definition of fitness can be any type of exercise that keeps your mind and body sound. What does “vitality” mean to you? When I see the word "Vitality," I automatically gravitate towards "Vital." Exercise is such a vital part of my life. I named my program Vitality because I wanted to share my passion of fitness and exercise with people and make it a vital part of their life, as well. As the definition states, "vitality" is the state of being strong and active. This program brings spirit, energy, and vigor into your life. It is represented by the culture, the workouts, and coaching. What types of members does Vitality have? Vitality's members are the most unique blend of people that I have ever encountered in a gym setting. There is no ego, no competition, no judgement. The group started with a tight-knit group of friends and family; some were regular gym goers and for others, it was their first time stepping foot into a gym. Our demographic lies between the post- college graduate to the young business person. Even with different goals from one person to the next, it comes down to people who want to be healthy, feel confident, and be able to maintain their lifestyles. How do you describe Vitality to prospective members/the general public? From a class perspective, I would describe it as strength and conditioning training that promotes fat loss, muscle tone, posture improvement, and stamina building. The group setting provides a non-intimidating environment that is welcoming to every new comer who walks through the door. All workouts can be tailored to the inexperienced or experienced. What type(s) of workouts can someone expect to do at Vitality? Vitality's programming involves an array movement patterns and uses a wide range of equipment. We squat, swing kettle bells, push sleds, jump rope, jump boxes... the list goes on. We never stick to a set routine. It keeps your body changing and the workouts challenging. What is your favorite part of coaching/leading workouts? Seeing growth and progression in the members is what makes coaching truly rewarding. My favorite moments are witnessing a new members on their first day and seeing how much they change in one month, three months, six months, and all the way to a year. I love the energy created, the positive vibes, and of course, ratchet dance music to move to. You can visit Vitality's website here, check it out Instagram for videos from classes & more, and, of course, come check it out for yourself if you're in the New Orleans area!